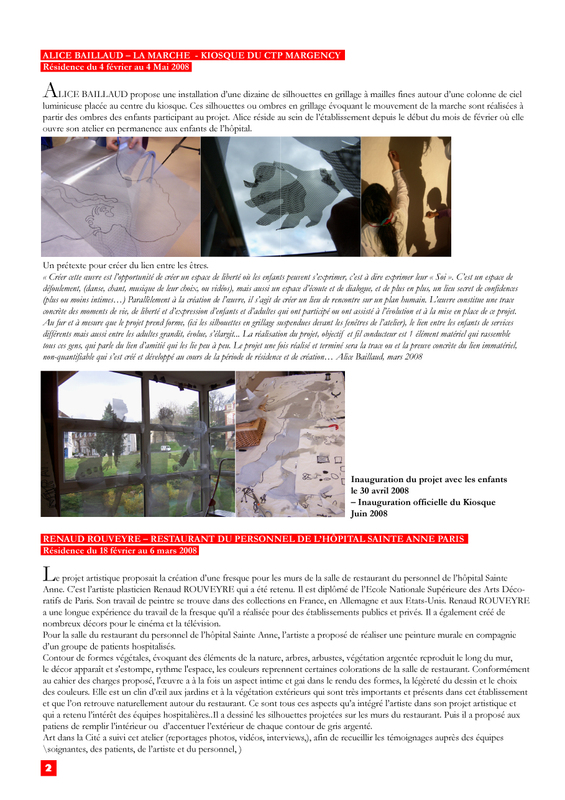 In year 2008, I was invited and supported by the association Art dans la Cité to do a 3 months art residency in order to set up an installation in the kiosk of the park of Margency’s hospital (north of Paris). This children hospital welcomed and actively supported the project. Ombres de lumière has been a strong experience in a human and artistic ways. I “lived” in this children hospital for 3 months. My atelier (a room in the hospital) offered to 12 children to draw and create in metal their own shadows. It was a strong experience where I mostly learnt about life…. the first thing I understood was that a child, even if he’s ill, should be first considered as a child and never as an ill person. As time was passing by, educators, teachers, nurses, doctors, technicians got involved in the project. The atelier became a place to share a moment, to listen to one another, to exchange, to talk, sing and even…dance ! 1. 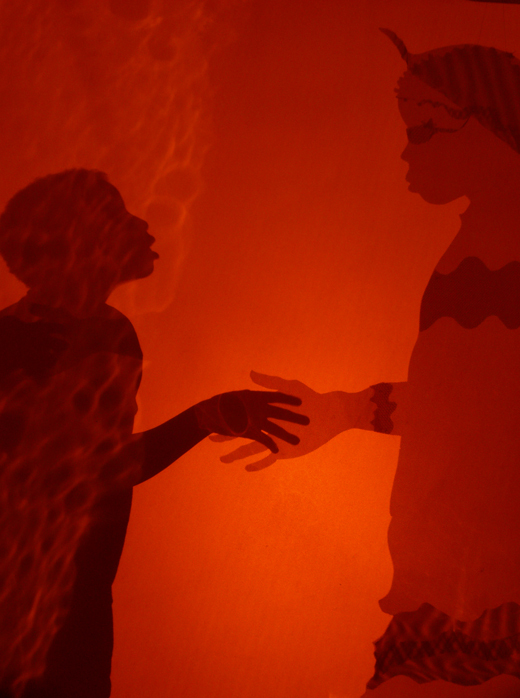 A theater of lights and shadows where children where invited to play with their own silhouettes. 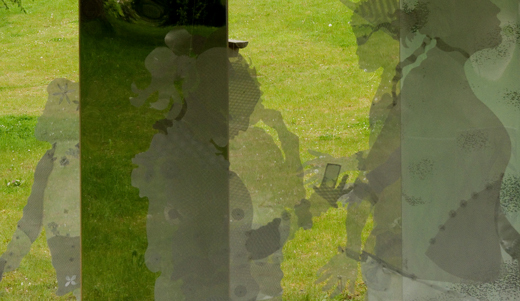 There was something quite moving about watching them going behind the veil and playing, touching, meeting their own shadows. 2. A definitive installation in the kiosk of the park with vertical and horizontal mirrors creating new perspectives and reflecting the landscape. In the middle of the kiosk, was set up a column of sky lit from inside and giving a rather different atmosphere at night: as if the light was coming from the silhouettes themselves.